The matter was silenced as a senior IFS officer was also present when the accident happened with the drone also getting damaged. SHIVAMOGGA: In a shocking incident, a bird -- a river tern -- fell to its death after it was allegedly hit by a drone, which was being used to shoot a wildlife film in Chikkamgaluru district last week. The incident was reported a week ago and since then it has been a hush-hush matter within the forest department as a senior IFS officer was also present when the accident happened. It’s said that besides the bird dying, the drone camera was also completely damaged. 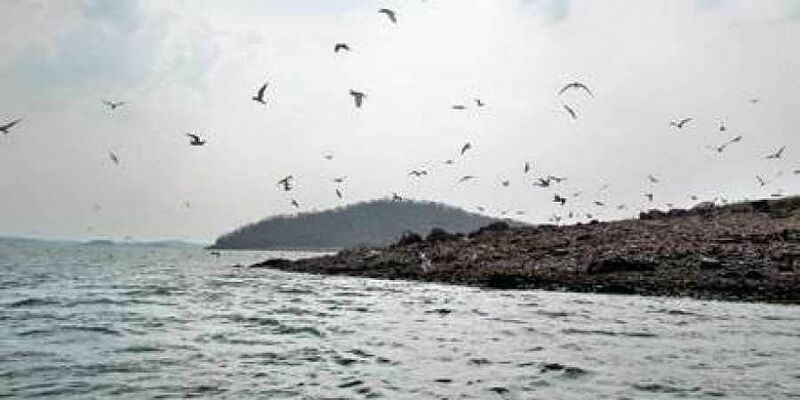 It’s said that a trio of noted filmmakers were trying to capture the breeding moments of river terns which come in large numbers to an island in Lakkavalli range of Bhadra Tiger Reserve. The forest department and the Jungle Lodges and Resorts run boat safaris and one such boat was used to transport the crew, the forest official and equipment, including the drone camera. It is not clear whether the team was shooting for Wild Karnataka, or if any other film was being made. The island is habituated by thousands of river terns and hundreds breed between February and April. “Some of the pictures from social media raise questions on whether permission was taken to shoot the film on the island. The team has also shot pictures and videos in a grassland in Bhadra reserve, and we are not sure whether there was permission to shoot at both the places,” said a conservationist. Local conservationists have been demanding since long that the boat safari must be stopped at Lakkavalli. “Both private and JLR boats must be stopped for tourism purposes. The boats can be used for patrolling. Where normal photographers are charged heavy money to enter forests, many videos are being shot illegally in core areas,” the conservationist added. River terns have an interesting breeding and parenting pattern and have always been a favourite of wildlife photographers. The recently released Wild Karnataka film is yet to be cleared of controversies shrouding around funding and baiting during the shooting. Wildlife activists, who claimed that the drone has killed a river tern, are now demanding a thorough inquiry into the incident.